Thanks to all who participated in ChefX at the Clark. It was a beautiful, memorable evening. We’ve captured a few images from the event on our Facebook page. Visit http://tinyurl.com/ChefXattheClark-Photos to take a look! John Andrews Farmhouse Restaurant was just selected as one of the World’s 25 Best Farmstead Experiences in The Daily Meal this week. John Andrews was reviewed in Metroland on 8/22. Check out the ‘Farm-to-Table Forever’ article on the Metroland website. 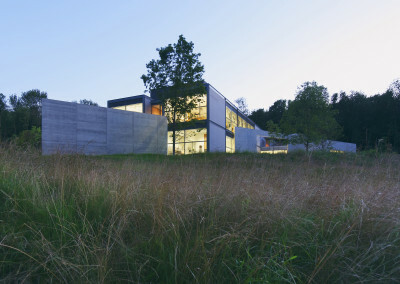 In an effort to connect people passionate about local food with the beautiful landscape that surrounds them, The Sterling and Francine Clark Art Institute will present Stone Hill Table – a series of farm-to-table events in late summer. In partnership with Berkshire Farm & Table (BF&T), The Clark will host an intimate dinner as part of BF&T’s ChefX series, featuring regional chefs who specialize in using locally grown and produced ingredients. The al fresco dinner will take place on Friday, August 30 on the Stone Hill terrace – taking advantage of the landscape that Yankee Magazine has lauded as one of the best “dining with a view” options in New England. 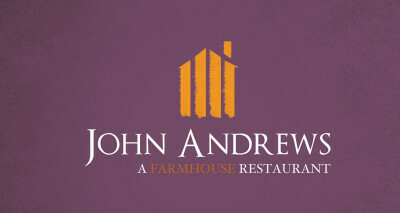 The dinner will be prepared by Chef-owner Dan Smith of John Andrews Farmhouse Restaurant. The convergence of food, wine and art in this beautiful setting is a rare treat and will allow guests to take part in the bounty of the Berkshire terroir while enjoying special access to the Clark. The Stone Hill Table dinners have been curated to provide an elegant dining experience in a small group setting limited to only 40 guests each night. At 6 p.m., guests will be seated on the Stone Hill terrace for a four-course all-local dinner served family style. Guests will have the option of an early arrival at 5 p.m. to participate in one of two behind-the-scenes programs offered at the Clark. 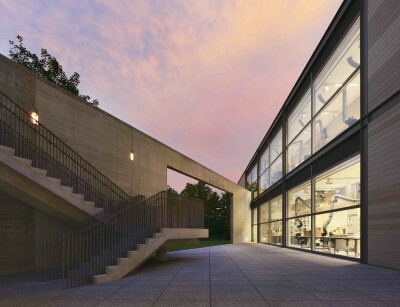 Members of the Clark’s curatorial team will provide a private after-hours tour of the current exhibitions, Winslow Homer: Making Art, Making History and George Inness: Gifts from Frank and Katherine Martucci or guests can join us for wine on the Clark’s penthouse terrace for an overview of the architectural additions that are transforming the Clark’s campus. The dinner, featuring locally grown and produced ingredients, is sponsored by The Porches Inn at MASS MoCA with additional support from MS Walker and Balderdash Cellars. Dan Smith has been the chef-owner of John Andrews Restaurant in South Egremont, Mass., since 1990. He was brought up on a family farm in Iowa and his experience with growing fresh food is where his connection to cooking began. His family has been farming for generations, and Dan studied agriculture at Iowa State University, planning on continuing the family farm. While in college, Dan began to work in restaurants and realized his passion was not for growing food, but cooking it. Dan’s longstanding connection to fresh, local sustainable food is rooted in these experiences and is the starting point for his menus at John Andrews. He has been working with local farmers and producers, develops his menu around their products and is inspired by the produce they bring to his kitchen door. Dan treats ingredients and employees with care to create a beautiful dining experience for his guests. In addition to his work with farmers in the Berkshires, Hudson Valley and northwestern Connecticut, Dan created his own garden on the property, which supplies additional produce for the restaurant. The commitment to local products and service is evident in the dining experience at John Andrews. Chef Dan Smith has created an exceptional menu featuring the best of the summer harvest, highlighting ingredients from local producers. During cocktail hour on Stone Hill, Balderdash Cellars, a local producer of premium wines from grapes grown by world-class California vineyards, will offer tastings of their wines. The selection of hors d’oeuvres will include Taft Farms Sweet Corn Cakes served with Hudson Valley Duck Confit & Red Onion Jam, Wellfleet Oysters served with Farm Girl Farm Cucumber & Zinke’s Microgreens, and Zehr and Sons Farm Mushroom & Berkshire Mountain Bakery Bruschetta. Dinner will include Grilled “Tuscan Style” Lila’s Farm Lamb, Foggy River Farms Roasted Purple Peruvian Potatoes with Rosemary & Balsamic, Braised Indian Line Farm Greens & Farm Girl Farm Grilled Eggplant Relish with a salad of Grilled Markristo Farm Summer Squash & Zucchini, Indian Line Farm Heirloom Tomatoes and Berle Farm Crowdie served over Equinox Farm Arugula, Balsamic & Fresh Basil Vinaigrette. Vegetarian options will also be available upon request. The all-inclusive cost for the dinner is $170 per person, which incorporates the optional behind-the-scenes programs at 5 pm, wine, beer and non-alcoholic beverages, service gratuity and the online ticketing fee. Dinner tickets will be available online via Eventbrite only. 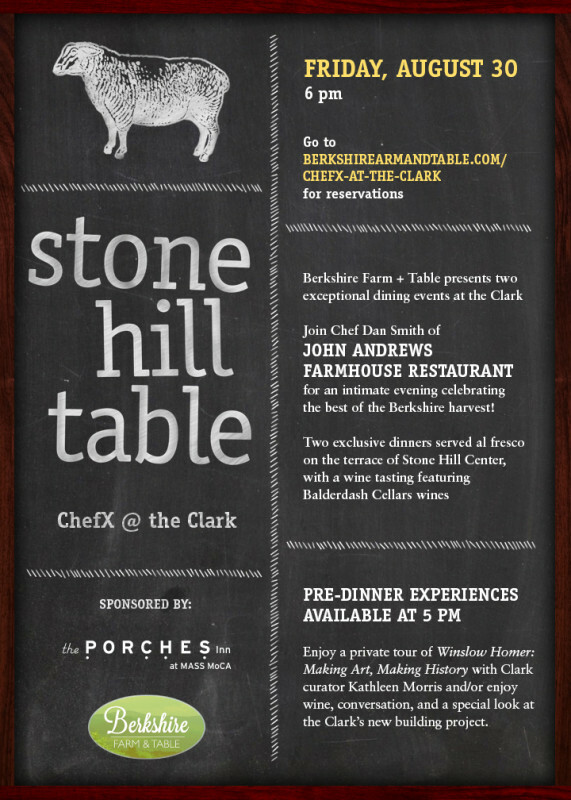 To purchase tickets for the Friday, August 30 Stone Hill Table: ChefX at The Clark dinner, visit EVENTBRITE here. <berkshirefarmtable@gmail.com> or call the Clark at 413.458.0524. Thanks to M.S. Walker and Balderdash Cellars for their support! For guests coming in from out of town or for those of you who wish to have a night on the town, The Porches Inn at MASS MoCA will be offering a ChefX Guest Special for Thursday and Friday evenings (8/29 and 8/30) with a discount of 15 percent off the rack rates. Please visit www.porches.com or call 413.664.0400 to reserve. 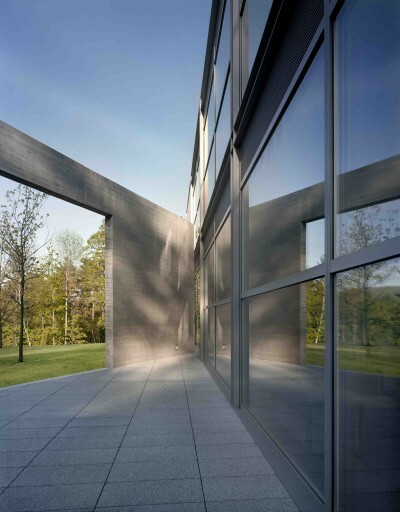 Set amidst 140 acres in the Berkshires, the Sterling and Francine Clark Art Institute is one of the few major art museums that also serves as a leading international center for research and scholarship. The Clark presents public and education programs and organizes groundbreaking exhibitions that advance new scholarship. The institute’s research and academic programs include an international fellowship program and conferences. Together with Williams College, the Clark sponsors one of the nation’s leading master’s programs in art history. The Clark is located at 225 South Street in Williamstown, Mass. The galleries are open daily in July and August (open Tuesday through Sunday from September through June), 10 am to 5 pm. For directions or more information, visit clarkart.edu or call 413.458.0524. The ChefX dinner series, designed in the style of pop-up suppers, has been cultivated to bring chefs from the Berkshires and Hudson Valley to alternative venues in celebration of regional cuisine. 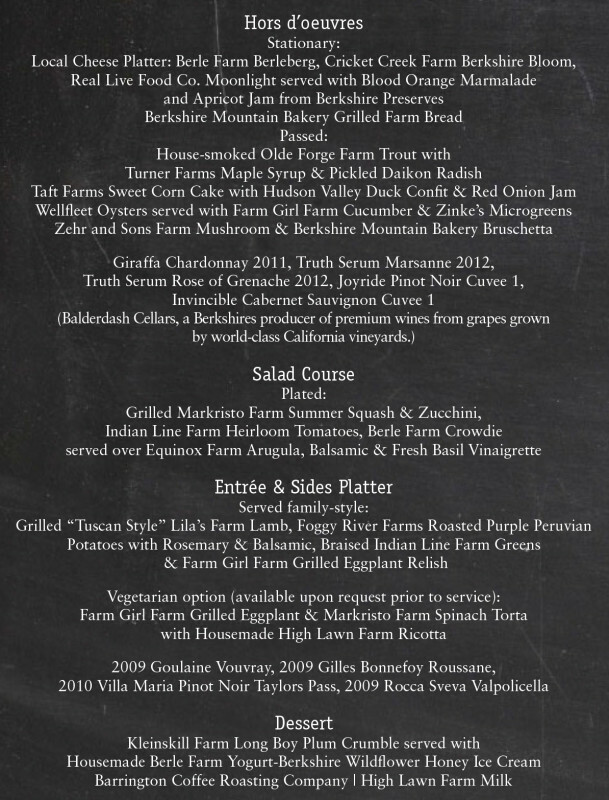 These dinners provide guests with a sampling of local cuisine showcasing the culinary talents of a collection of noteworthy chefs who value top-quality ingredients and support local farmers and food artisans. Berkshire Farm & Table is an organization whose mission is to cultivate regional economic development through the advancement of food culture in the Berkshires. Through building relationships, producing events and fostering dialogue, they bring the unique stories and expertise of Berkshires’ culinary artisans, farming values and agritourism experiences to the forefront. For more information, visit berkshirefarmandtable.org.